Sold by uRead-Store (4.8 out of 5 | 13,469 ratings) and Fulfilled by Amazon. Gift-wrap available. 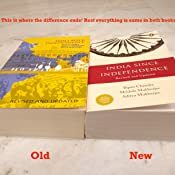 Start reading India Since Independence on your Kindle in under a minute. 5.0 out of 5 starsUnbiased Comparison of New version with Old version and honest Book Review. The book deserves 5 stars 🤓 but this "New Edition" has nothing new 😑 ! Detailed review [check pictures]. This book serves as a continuation to the much read book "India's Struggle For Independence" by the same author (Bipan Chandra). 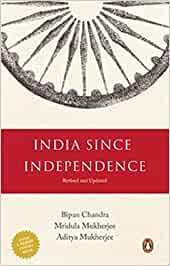 Since India's Struggle for Independence roughly covers the period from 1857 till 1947, this book (India since Independence) important developments from independence till first decade of the 21st century. Mr Bipan Chandra needs no introduction. He is a pioneer of History and his interpretation of Indian History is considered the most relevant version. He contributed to the NCERTs and various other publication. He was awarded Padma Bhushan and also served as the director of National Book Trust. But since he is no more, further contribution will be done by co-authors only. The other two contributors are also experts of their field. The book is written in a very simple format and a lucid style of writing. It is not meant for scholars and anyone with interest in India's recent past can go through it. No background needed, whatsoever and you would definitely enjoy reading it. 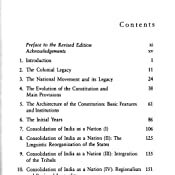 It discusses various political, social, economic and cultural dimensions of India's recent history. Various political parties and their handling of the affairs of their time has been elaborated. Some people may find it political but it not possible to be apolitical while writing political history and the author uses his conscience to deliver the best. It also introduces the governance challenges in the nation and what the future may have for us. - Only difference is the cover page has been freshened up. So no need to buy the new version if you have the old one. Both have same number of pages and same content. 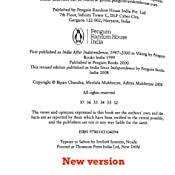 I recommend this book to UPSC aspirants in particular since it will be easier to comprehend this one once you finish doing Modern India from "India's Struggle for Independence". Thanks for your time in reading this review. :) Jai Hind. 5.0 out of 5 starsMasterly overview of the political and economic development in India. 4.0 out of 5 starsBook is very good. Selective reading is required. The delivery was on time. But my seller Prakash e solutions, from bhiwandi, maharashtra sent me an older version instead of new one while he displayed the image on app for latest version. Had to order a replacement because of this. Don't buy from this seller. Due to bad delivery experience taking out one star. The book is great. But selective reading is required. Not everything is important. Chapters 6 to 12 are very very important. Further the author is a fan of Nehru and Gandhi, so you have to keep moderate views about them . The book is very helpful in mains not so much in pre. Language is lucid. If you can make notes than awesome otherwise leave it. Lastly, don't worry too much about which one is better this or others like India after Gandhi, etc all the books are almost similar. Very minute differences are there. It really doesn't matter which one you are buying. For me this book was enough. Its better to study one book ten times then doing 4 or 5 books once. The product is in really good condition but please don't add own label bar-code over the original one otherwise everything is perfect. Thank you. Good book for preparing for UPSC civil services. "ATTENTION" , biased history be careful while reading this book the author is pro-congress and always talk about the achievements of AICC. 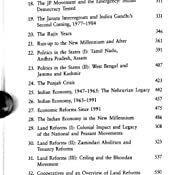 To check the pros and cons of mentioned book plz refer to book "modern india 1885 to 1947" written by Sumit Sarkar. Book's content and build quality is good. Book gives detailed insight into indian history post independence. Negative aspect: politically biased, skewed towards achievement of Nehru and Congress. Also it is narrative based rather than explicit sharp crisp points. Didn't like it much as compared to the voluminous India After Gandhi (which was magnificent! ), but from the point of view of Civil Services Examination, the selective reading of this book definitely helps.